Time to Play... Name that Part! OK... Help me out here Ladies and Gentlemen. This is off an 87 300SDL. You are looking at a pick of the fuel line going into parts bolted onto the side of the IP. 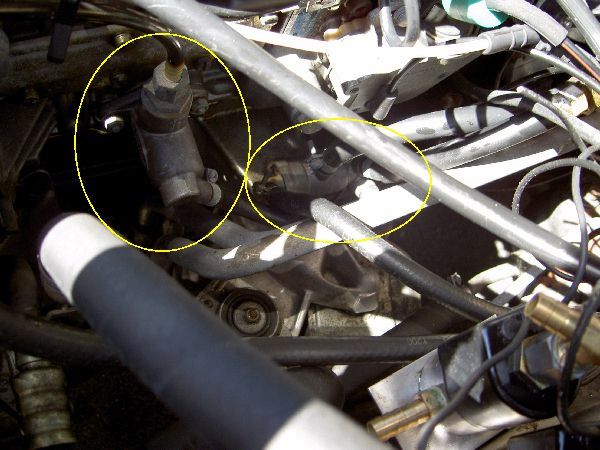 One appears to be a valve allowing fuel to go into the coolant system to warm it up. Is that all it does? The other? I have no idea. Fuel goes in and fuel goes out. I do not see any primer on this line but thats what I expect this part to be, but no button. I don't see a lift pump on this vehicle. Is there one? I have trouble believing that little thing to the left is a lift pump though... is it? Yes the part on the left is the lift pump. The IP on the 603 is self priming. 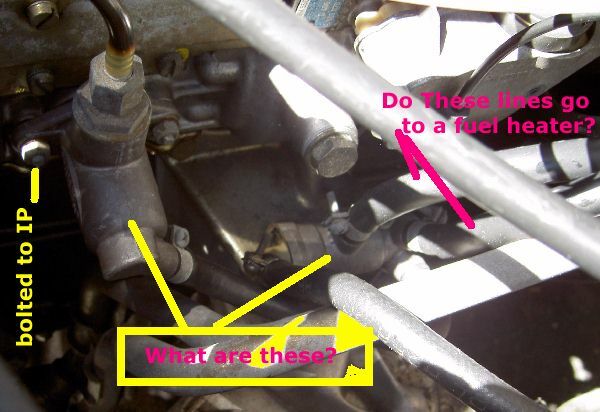 The other item could be the fuel line heater. I never looked at mine that closely when I owned my 87 300D.